At the Hanley we believe it is important for businesses to give back to and help in their communities. Our business would not exist without the people around us and so we like to stay well engaged with our local community who mean so much to us and allow our business to continue its success. 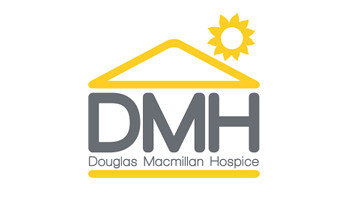 Known affectionately in our local community as The Dougie Mac, The Douglas Macmillan Hospice has been providing free end of life care to anyone over the age of 18 facing a life limiting illness. At The Hanley we have supported various local charities over the years but were keen to create a more intimate partnership with a larger local charity so that we could more easily measure the impact of our involvement. One way in which we have contributed to the charity is by launching the ‘Dougie Mac Saver Account’ which is an account where 1% of the annual balance is donated to the hospice. Now with over 400 accounts opened, we have forecasted that by year 5 of the scheme we will deliver an annual donation of £42,000. The Potters ‘Arf is a local charity marathon which every year brings out runners from all over the country to raise funds for both local and national charities, including a significant amount of money for The Dougie Mac. We have been the main sponsor of the event for the past 8 years now and are very proud to have our name on the badges of all of these runners and grow our connectivity with the local community. An estimated £50,000 is raised each year by the diverse group of people who participate for a wide range of very worthy causes and we are very proud that our involvement has lead to an increase in numbers as well as an increase in popularity and awareness. We look forward to the race every year and will continue to support it and help to raise funds for many deserving charities! David is Head of Marketing & Business Development at The Hanley and has over 20 years of Financial Services experience. He is a keen supporter of the mutual sector and has an in-depth knowledge of the UK personal finance market.